2) Kolkata to Gangasagar by train : Both the points Namkhana and Harwood Point can be reached by train from Sealdah Station. There are direct trains to Kakdwip from Sealdah Station with link trains to Namkhana. From Kakdwip, Harwood Point is only 5 Km. and Namkhana is 12 Km. by bus or jeep. During the Mela cycle-rickshaws operate between RS and ferry jetty. Trains tend to be overcrowded and are definitely a challenge during Mela time. 3)To reach Sagar Island one must cross the Muriganga river/creek by ferry service. Ferry service is available in both Harwood point and Namkhana and controlled by West Bengal Surface Transport Corporation(WBSTC). Frequency of crossings are more in Harwood point and it is once in every half an hour. 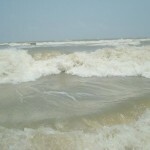 4)After reaching Sagar Island one have to cross the whole stretch of Sagar Island (32 Km.) by local bus or shared taxi. Also you can hire private jeep from there. There is no accommodation available on the point of crossing (Kachuberia), so everybody has to travel the whole stretch of the Island and reach the southernmost part, where accommodations are abundant. 5)Except from Namkhana and Harwood Point, there is also a direct ferry service available to Kachuberia (Sagar Island) from Haldia. It is possible to go the entire length by private car or hired car from Kolkata. At Harwood Point there is provision to transport vehicle with the help of a barge locally known as LCT. There are no fixed time for the crossings, because it is totally dependent on the water-level and thus, on the tides. Kolkata to Gangasagar by bus is always available. You can go from Kolkata to Gangasagar by taxi. Kolkata to Gangasagar taxi fare is not fixed, they charge different when ever they want. 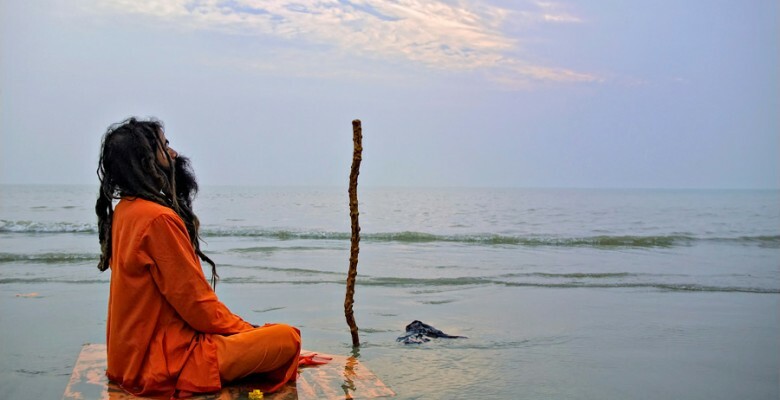 After a visit to Gangasagar , return to Kolkata the same day is possible. Passenger helicopter services have been started from Kolkata(Behala Flying Club) to Gangasagar. Booking already started from 29th December,2013. You can get this advantage every Sunday. Time rquired to go Gangasagar from kolkata is only 30minutes. But you have to reach at least one hour before the boarding time.Kolkata to Gangasagar fare is 1500/- for one way ride. You can book your tickets from Surabhi Communication (Howrah) and Quick Service (Jadavpur). For purchasing tickets you need to bring photo -ID proof.Photo -ID proof is also required at the boarding time. Helicopter flying from Kolkata Behala Flying Club (09:30 AM) to Gangasagar Near Kapilmuni Temple (10:00AM). After Ganga Snan & Puja back to Kolkata, drop at Kolkata Behala Flying Club. The helicopter services also have been started from kolkata to Durgapur and Malda-Balurghat routes.